Dan Bye outlines how to behave on the trail, plus 3 tips to promote more e-mountain bike access. One of the biggest dilemmas facing e-bikers today is access. 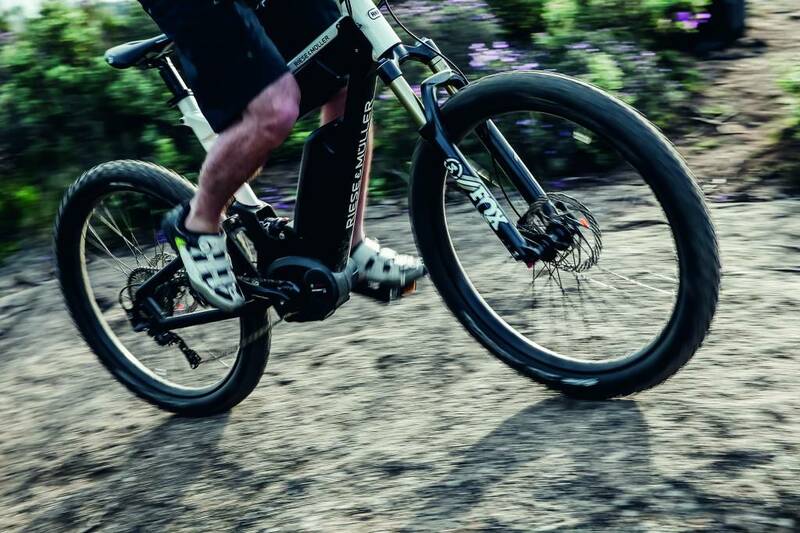 With no clearly defined classification system for e-bikes, they often get lumped in with “motorized vehicles,” which effectively bans e-bikes from all non-motorized trails, and approximately 85% of singletrack trails. 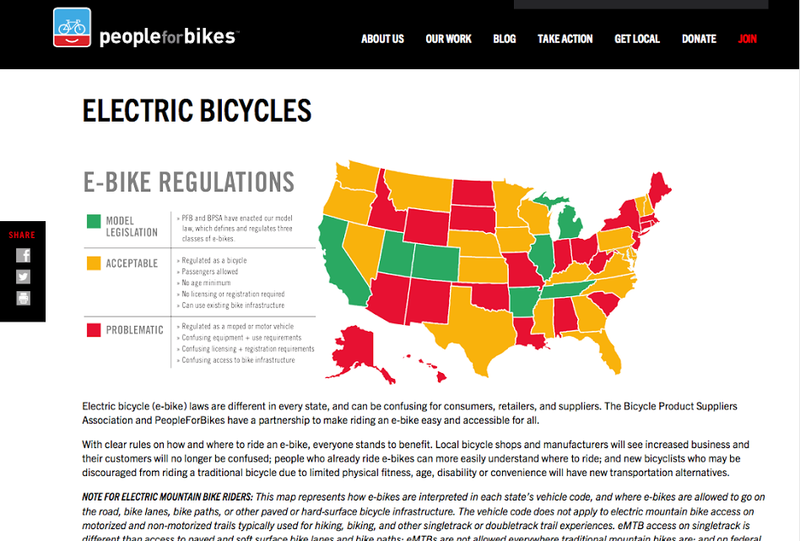 Fortunately, few states draw a hard line in the dirt against e-bike access. Many are following California in creating legislation to place e-bikes in their own class (see map below for state-by-state legislation ), but legislation takes time. That’s why now more than ever the actions of today’s e-bike enthusiasts go far in opening minds (and trails) for e-bikers to come. Here are three tips to ensure your local trails stay e-bike friendly. As an e-biker, you are the low man on the totem pole when it comes to trail hierarchy, so be courteous. This shouldn’t be hard. The people out on the trails are doing the exact same thing you are: recreating. Say hi, pull over if necessary, give animals space, and respect the trail. Whatever you brought with you into the woods, comes back out. Leave nothing behind except tire tracks. And to that end, make sure your tire tracks don’t adversely affect the trail. While riding in the mud is fun, when that mud clings to your tires like peanut butter, you are killing your bike and the trail. Even a single tire track in these conditions can take months to heal or countless shovel hours to fix. Do your local trail crew and your bike a solid, and hold out until things dry up a bit. Most trail committees and trail networks have an online forum where you can check on trail conditions. If an up to date entry doesn’t exist, write one! “Share your knowledge, it is a way to achieve immortality,”- Dalai Lama. E-bikes are inherently heavy. Slowing them down requires more space than traditional bikes. Make sure that before heading out, you have done your due diligence regarding the technicality of the trail, and whether your skills are up to the challenge. Also, knowing your intended route ensures that you aren’t left stranded in the backcountry to sleep with the wolves. The length of ride, elevation gain, sources of water, and trail intersections are all important to note before heading out. Keep in mind the type of terrain as well, as this can dictate how many tubes you bring, water, food, etc. You will catch relentless $%!^ if someone has to bail you and your 50 pound bike out of the backcountry. With the number of e-bikes growing exponentially each year, traditionalists and land managers alike are showing concern for the future of access. More people out enjoying trails is good news for bikes as a general user group, with more weight to throw around in access negotiations, but it also means that the actions of e-bikers can have unintended consequences across the board. In order to preserve precious access rights for all bikers, which did not come easy, it’s imperative that today’s e-bikers act as ambassadors of their sport to cultivate understanding and a positive biking culture for all riders.